Decided to get up this 2018 Catch the Moment 365 Week 27 today, instead of my regular day tomorrow (Tuesday). I am hoping to get up a recipe tomorrow, so decided this would be best to throw up today. 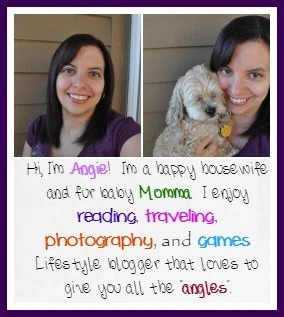 One of the things I am most excited about for this last week of photos is that all but one is taken with my big girl camera! Super tickled with me on that little fact. Lots of outside work happened is the main jest of this last week though. 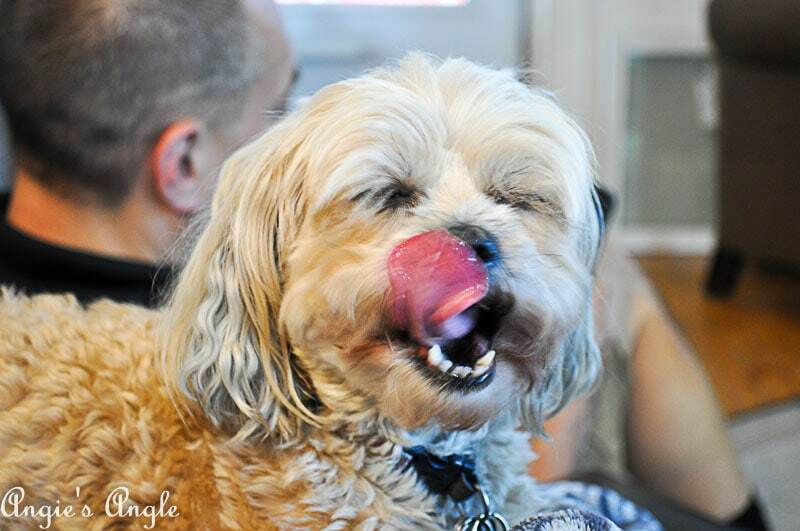 Day 183 – Monday, July 2nd – Catching Roxy in mid lip-smacking action. Day 184 – Tuesday, July 3rd – The only photo this week from my camera phone. 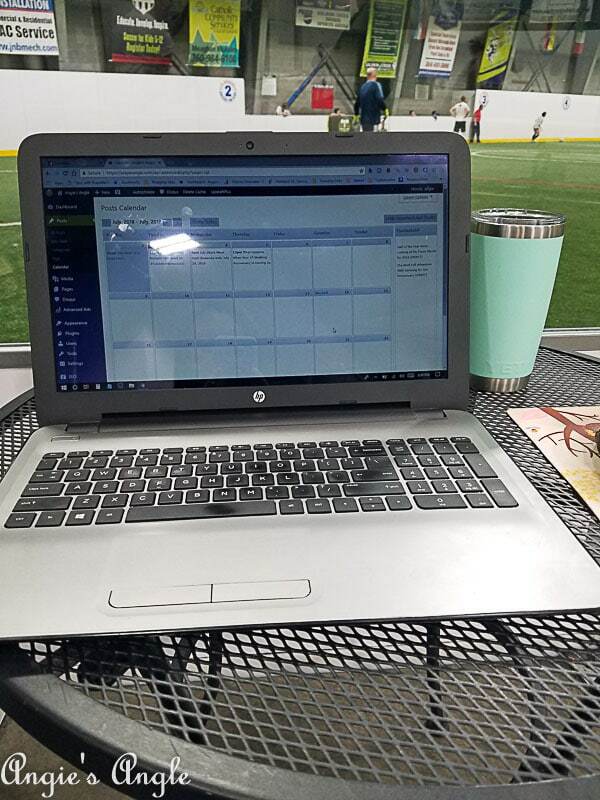 I almost didn’t bring my laptop to Tuesday soccer like I normally do but was so glad I did. Ended up getting up this post & working some of my camping post that will go live this week. 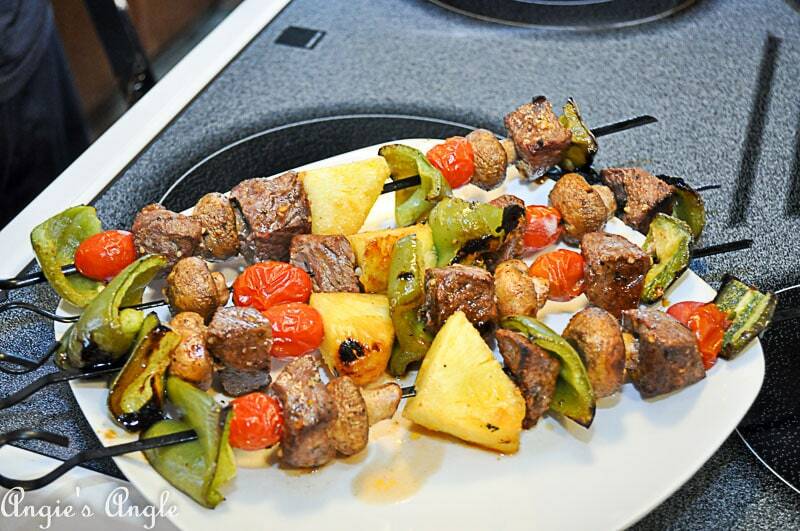 Day 185 – Wednesday, July 4th – Our one 4th of July tradition is kabobs, today didn’t disappoint. Yum! We also spent a good portion of the day outside in the yard. 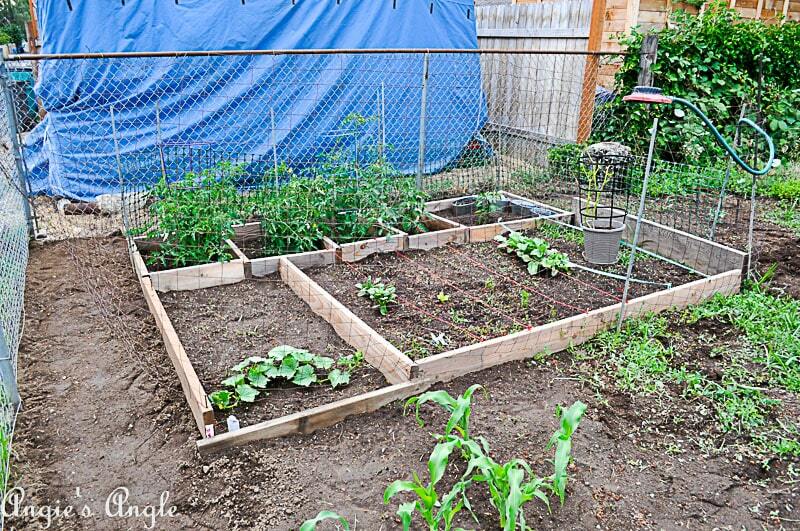 Day 186 – Thursday, July 5th – Some of the progress I made while trying to weed this area. Most of our veggies this year are in the wood areas but for the little bit of corn you can see and a couple watermelons off to the side – the rest is all junk weeds. I am slowly getting them all up. 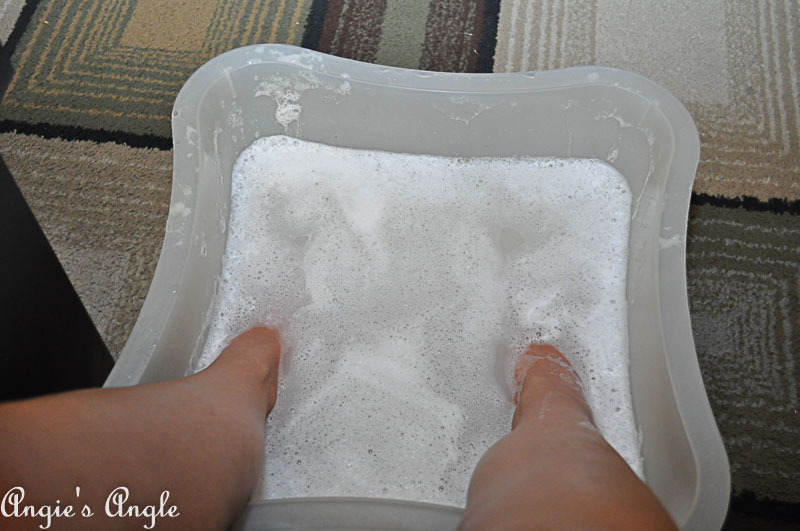 Day 187 – Friday, July 6th – Doing a little foot soak for the evening. Day 188 – Saturday, July 7th – Late at night and realizing I didn’t take any photos yet. 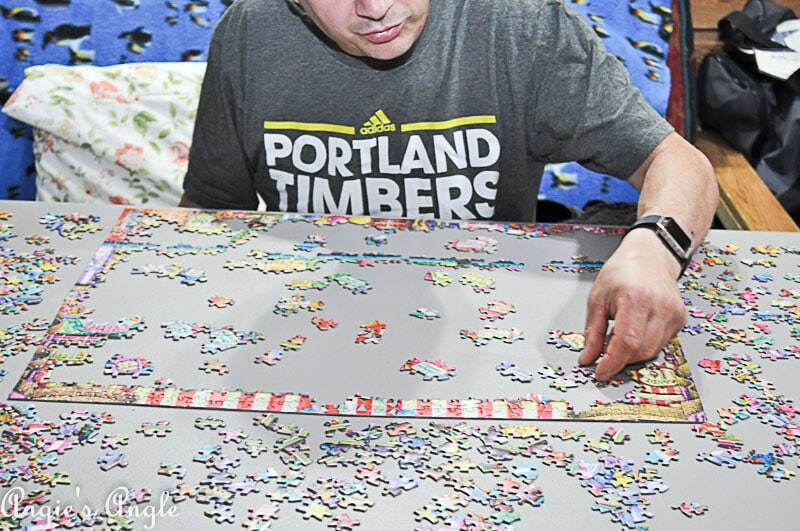 Thankfully, Jason was over working on our new puzzle. Day 189 – Sunday, July 8th – A photo of some of our progress on clearing out our lawn. 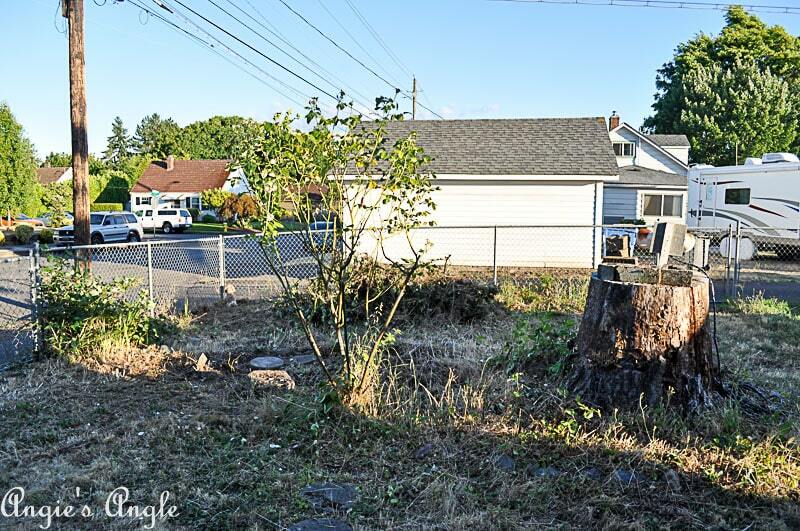 There was a big bush/tree thing here along with the rose bush & stump. We want all this gone. Ideally, I want a patio here.